More Wedding Bands and More Rings ! 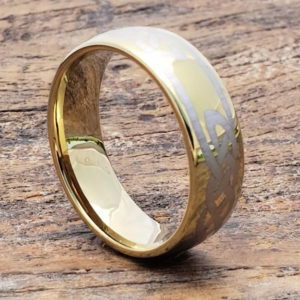 Forever Metals strives to deliver the most unique collection of rings on the web. Our Celtic collection is no exception. Our styles include knot work rings, cross rings and beautiful carved rings. Each style we carry is available in many widths along with sizes 5-15. Half sizes also available. We hope by carrying a large selection shopping will be an enjoyable, stress free experience. Here is a brief description of popular categories. Knot Work Rings Forever Metals carries many knot work rings. Knot work rings are a popular choice for couples that want a traditional yet unique ring. Our collection of rings include widths 4mm to 10mm as well as rings in both black and gold. Check out our Calypso if you are looking for a fancy knot work pattern. The Medieval will provide a traditional knot work pattern while the Viking features a very simple pattern. We promise to have a ring for everyone. Promise Rings Promise rings have made a comeback. Back in the 70’s and 80’s Promise rings were symbols of future marriage. It was popular for younger couples to exchange promise rings due to age and wanting to wait. Promise bands are now acceptable for all ages. Marriage is very serious and many understand that both partners need to have full commitment. Cross Rings Cross rings are used to represent religious beliefs, a promise to another or as for Purity. Forever Metals Cross ring collection offers a small selection that ranges from simple to more detailed. Our tungsten Purity ring has been a popular gift for High School students to represent a pure life style. Where the Trinity Cross ring seems to be popular with couples to use as wedding bands. Cross rings are available in the standard finish and gold tungsten. 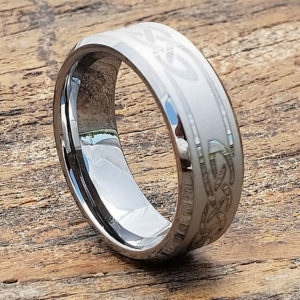 Carved Rings Forever Metals takes pride in our carved rings. We manufacture the complete collection in the Unites States. Our lifetime warranty is our proof that we stand behind our quality. 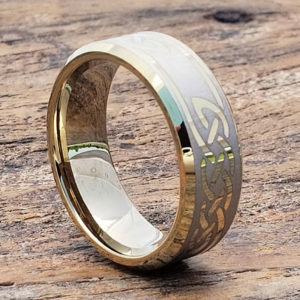 We carry many carved Celtic rings detailing a knot work pattern. The Oracle is our best selling carved ring. Widths range from 5mm to 10mm with sizing 5-15. Last Updated: February 15, 2018.